had a hard time deciding which stamp is my favorite! I made the dots using the eraser end of new pencils as a stamp. Ripe Persimmon, Dusty Concord and Twisted Citron. Boo to you too, Doni. Great Halloween card. Such a fun Halloween card, Doni! I love the polka dots in the background...So cute! 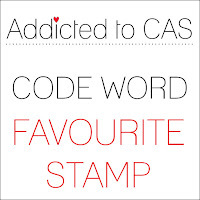 FUN and perfect CAS card, Doni !! Donni, your monster is fabulous - he made me smile! You colored him just the right shade of green, too. 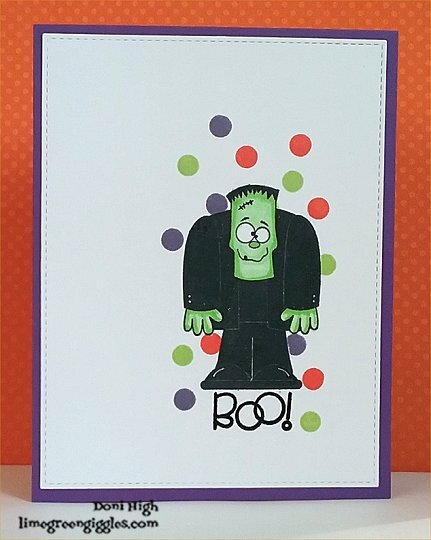 Awesome halloween card! Can't go wrong with choose Frankie as you fav! Love it!